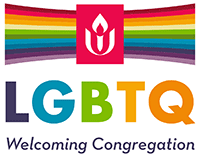 Welcome to the Unitarian Universalist Fellowship where tolerance, kindness, justice and a free search for spiritual truth are our treasured values. We gather together to nurture and support each other as we negotiate life’s challenges and celebrate its joys. We’re a liberal-minded, accepting religious community and we invite you to visit us regardless of your religious background. Unitarian Universalism does not require you to adhere to rigid dogma or creeds. Our inspiration comes from many of the world’s religious traditions. We encourage you along your spiritual journey; we don’t tell you where it must lead. We serve all of Northern Nevada and portions of northeast California. Our members live in Reno, Sparks, Carson City, Lake Tahoe, Minden, Truckee, and other communities. Sunday services meet at 10:30 a.m. When you enter the Fellowship you will be greeted by members and we will give you a name badge, provide you with information about us, and answer any questions you may have. If you arrive a few minutes early you’ll have time to check out some of our activities explained on bulletin board displays throughout the anteroom we call our Gathering Room.